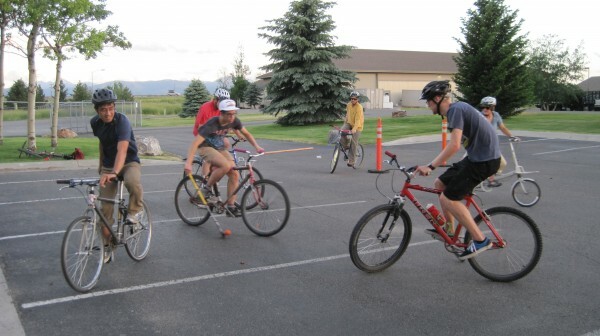 For the past few years, hardcourt bike polo has been a Wednesday night tradition for bike geeks here in Bozeman. This year’s polo season saw a slow start with the loss of some longtime players who grew up and got “real” jobs elsewhere. But we can’t blame it all on them. Mostly, we have been hard up for a space to play since construction trucks tool over the blacktop of the elementary school. Thankfully, Mystery Ranch offered up the use of its front parking lot, and Wednesday Polo is back on! Our inaugural game at Mystery Ranch saw a great turnout of 25 plus individuals. What a relief to have a place to play polo, drink beer and talk trash without worrying about getting kicked out by the cops. Polo in Bozeman was instigated in 2006 by bike culture aficionado, long-time wrench monkey, and all-around great guy, John Friedrich. John is also the guilty party who brought alleycats, rocky sprints and several other urban-style cycling shenanigans our town of 35,000. 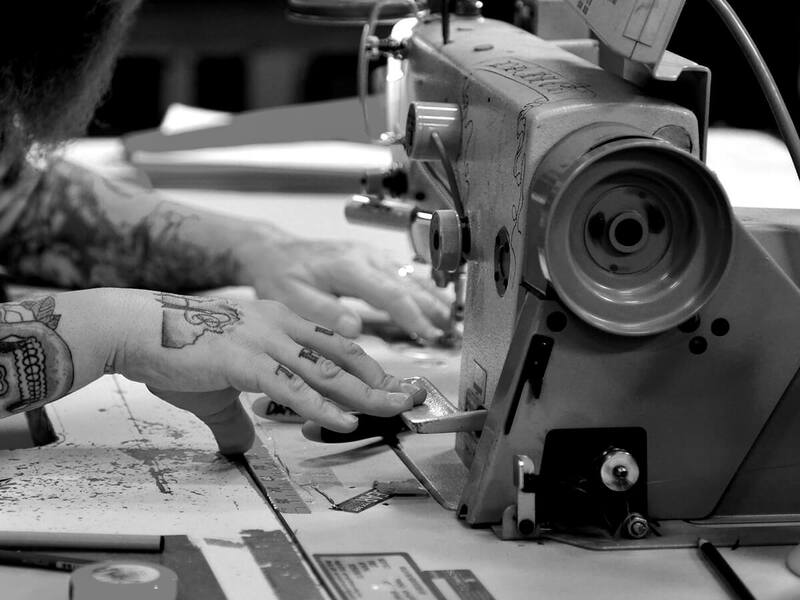 Sadly for the community, John has since moved on to cast a much wider net at Specialized in Morgan Hill, CA. After a pilot game in a run-down parking lot behind John’s apartment, the first attempt at playing polo as a community activity took place at the now nationally famous “waste” of stimulus funds, the Bogert park tennis courts. 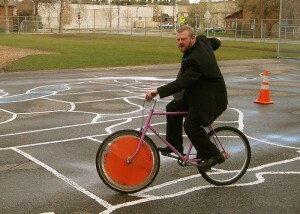 The game did not last long at Bogert, as Bozeman municipal code does not allow for recreational wheeled vehicles on tennis courts. As it turned out, the large and often vacant pavilion immediately to the west of the tennis courts was also off limits during most hours of the day, due to an ordinance passed back in 2000 when a few neighbors (mostly one neigbor who we swear just sits in his back yard eagerly awaiting the magical hour when he can report whichever wheeled recreators just turned into criminals like a Cinderella’s coach into a pumpkin) complained about the noise caused by skateboarders. To be “fair” the ordinance includes all wheeled recreational vehicles, rather than limiting the ordinance to the source of the problem. If you have ever ventured into the underground parking garage behind the Baxter hotel, chances are you took one look and immediately ventured back out. Our founder John Friedrich once described the parking garage as “a concrete box coated on the inside with infectious diseases and a grotesque shape-shifting monster in the corner and sharpened rusty knives at shoulder height, ensuring only the strong of will and skill would play.” Everyone rolled up their sleeves, donned dust masks and spent 3 consecutive nights sweeping away the filth to make the garage fit for play. The Baxter location attracted great turnouts of people and the lights were really helpful as the days grew shorter into the fall, however the space was too good to be true. Although the garage had a pre-game sweep every week and, thanks to polo, people were actually able to park their cars down there without the worry of flat tires and tetanus, the property owner was not too friendly to our game. After a few weeks the cops were called, polo was evicted again and the garage assumed it’s former identity as a great place to share needles, paint graffiti and dump trash. With the loss of the parking garage space occurring well into fall, polo did not continue until the following spring. After a couple of other places were tested and rejected for either poor playing surface or because “the man” had something to say about it, polo found it’s home for the next couple years at the Hawthorne school playground. With a promise to the groundskeeper not to damage any windows, and to clean up after ourselves, we were good to go. But late in the summer of 2010, construction started at Hawthorne, leaving us to hang our heads and take our mallets elsewhere. For a couple of months, polo found a home in the basement of the new publicly funded downtown parking garage, but the sloping floor, several power boxes ominously protruding from the wall and the occasional partial flood quashed our enthusiasm. When Mystery Ranch moved facilities and gained a nice paved parking lot, we finally got a reliable, legal space to play for the foreseeable future. 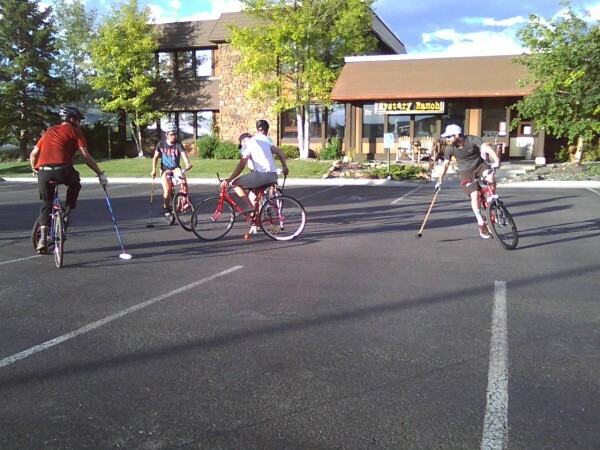 We’re always looking for more players, and all are welcome, even if it’s just to watch a bunch of adults talk trash while hitting a street hockey ball with mallets made from repurposed ski poles. 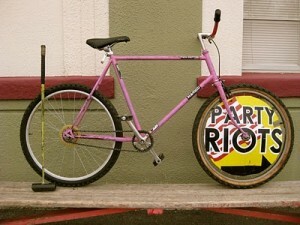 Really, it’s just a whole lot of fun. 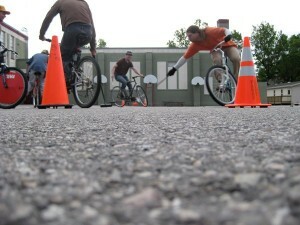 For more info see thebozemanfix.blogspot.com and Bozeman Bike Polo on Face book.